Whether you are a residential property owner or a commercial property owner concrete floors are beautiful and popular choice that are suitable for any area of your home or business. Polished concrete is easy to clean, durable and offers a high reflective shine that has become the go-to flooring choice for homeowners and business owners alike. Port St Lucie Epoxy Pros has the expertise you want to install polished concrete that will last through a lifetime of heavy traffic. We offer clients smooth flooring with top tier materials and state of the art equipment to achieve the effect so that you can feel proud to have selected us for your flooring choice. Polished concrete is a strong and durable material selection for your home or commercial property. In fact, they are well known as a long lasting feature and can be guaranteed to stay in tact for as many as 20 years because even with high traffic they are will not dent or chip like many other materials such as tiles or other types of soft materials. And with routine maintenance and care it is definitely possible for your polished concrete to last far longer than the original 20 year lifespan. But for sure, you must hire a concrete contracting company that has the deep experience and skills to install flooring that is of top quality. With beauty and durability you might expect great expense. But polished concrete installation is far from expensive, even when you use our top rated concrete contracting company. We offer affordable installation cost that can’t be beat by our competitors who in the polished concrete Port St Lucie industry. Our polished concrete flooring is of high value at low cost and this is particularly true when you already have an installed concrete flooring that requires finishing and staining to look polished and exceptional. It’s a value for money proposition because polished concrete flooring is also low maintenance and all it requires is regular cleaning using a broom or mop to avoid the pile up of dust and dirt. When you have other tasks to complete in your home, you hardly want to spend hours waxing a floor and purchasing equipment to clean your carpets spends money and time. Plus carpet introduces dirt, dust and allergens into your environment that can create or exacerbate allergies. Polished concrete flooring is the perfect anecdote to these issues. When you have a high gloss polished concrete floor, you have the advantage of it looking attractive and it’s also easy to clean. Regular mopping or sweeping will definitely get the job done and keep that lovely gleam on your floor without having to call a professional cleaning service to restore your polished concrete flooring. 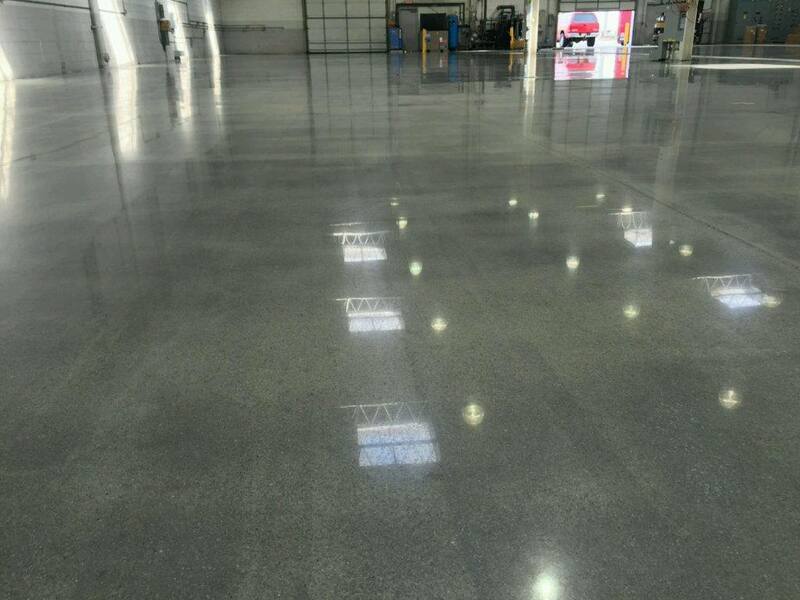 No polished concrete job is too big or too small for Port St Lucie Epoxy Pros to handle. We offer dedication to high quality workmanship that are customers can trust to be durable and we offer a guarantee of service and products. No other polished flooring contractor can meet our top rated standards while also offering affordable prices. Call us today to provide you with a free estimate.